On today's post, I'm going to be talking about the second show that could do well with a last-chance season renewal. As mentioned in the previous post about ABC's GCB, I'm going to pick one show from each of the five U.S. networks that I think could be improved and might deserve a reconsideration from its cancellation. Starring (select names): Jason O'Mara, Shelley Conn, Landon Liboiron and Naomi Scott. The Premise: Set in the distant future, the world has become plagued with overpopulation and dwindling resources. Scientists discover a wormhole that can help transport people into the past to live in a prehistoric time period. Terra Nova follows the adventures of the Shannon family and their plight in a world that is too different from the world they had originally came from. Reaction To Cancellation: I'm surprised but yet I completely understand the decision. Terra Nova was promoted as the "biggest show" to hit television screens this fall with its top-notch special effects and dinosaurs. The problem was that production costs were way too high and viewers were leaving the show. While it only ran for a mid-season fall run, news of the cancellation was revealed in May. How It Could Be Saved: Terra Nova is a television program that would have needed a serious rework. Many viewers and journalists criticized the show for its overtly "teen-storyline" focus and a lack of dinosaurs. 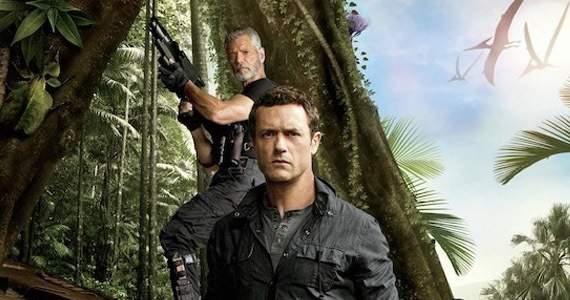 I only watched the show for the first few episodes - dinosaurs aren't a big draw for me and I couldn't get into the show but there are thousands of loyal fans who would love to have Terra Nova back. Possibly a storyline that focused on the adults, an overarching nefarious organization and utilizing the "teen cast" could help. Plus, you know, throw in a dinosaur here and there.